ANN ARBOR - A recent simulation at Concordia University Ann Arbor's School of Nursing faced 65 students with tough questions: What if you only had a $10 bill for the month to meet your family's basic needs? How does living in poverty look when you are a senior citizen, disabled or receive federal assistance? 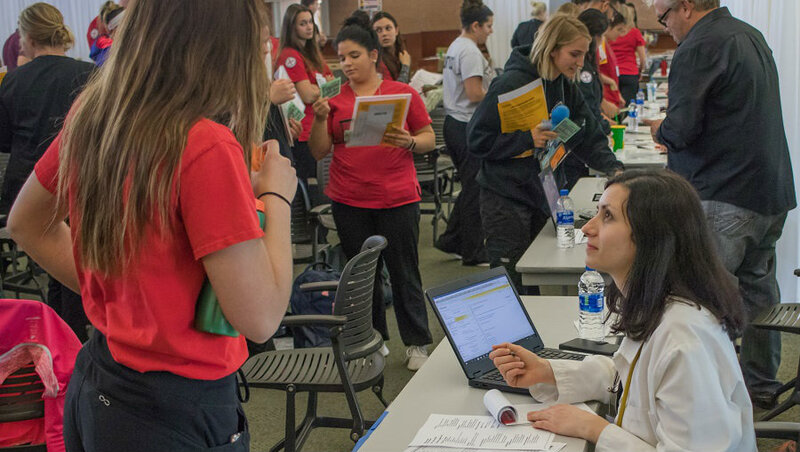 On May 21, students underwent the Community Action Poverty Simulation, which is "designed to help students better understand the realities of poverty so that they can more empathetically and effectively provide care to future patients in these scenarios." They interacted with 23 "participants" -- members of CUAA faculty and staff -- who played the roles of bill collectors, job interviewers, grocers, police officers, pawnbrokers, teachers and more. During the three-hour simulation, the nursing students were given various scenarios and had to find a way to provide shelter and basic necessities on a limited budget over the course of four weeks, each lasting 15 minutes. 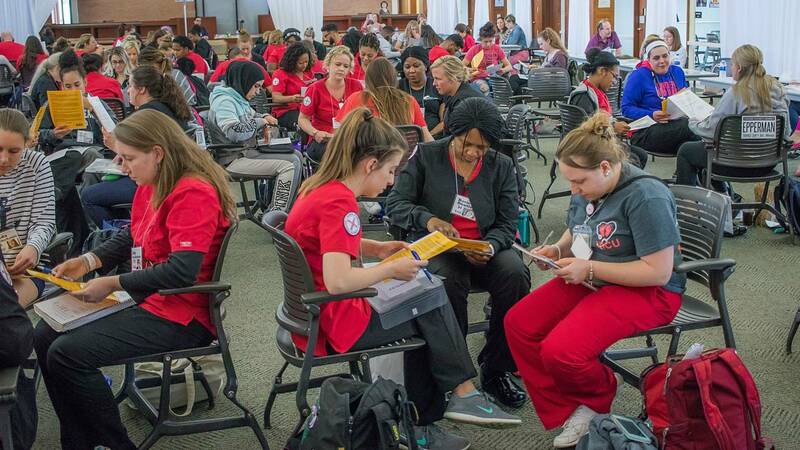 “We are thrilled by the way this program helped our nursing students understand the complexities and frustrations of living in poverty day to day," Anita Simmons, the School of Nursing’s director of simulation, said in a press release. "With a greater awareness of its impact, our students will be able to more effectively address poverty issues when working with patients." According to data from the University of Michigan Poverty Solutions, during 2017 12.7 percent of people living in the U.S. have incomes below the poverty line. That equals an annual income of $24,250 for a family of four. Michigan's poverty rate is 15 percent, with 14.6 percent of those living under the poverty line in Washtenaw County. "This simulation helps participants recognize 'intangible invaluables' such as time, efficiency, and predictable expenditures," Peggy McLaughlin, associate professor of nursing, said in a press release. "Walking in someone else's shoes helps to cultivate understanding and cultural sensitivity." As part of the School of Nursing program at CUAA, over the course of six semesters, students spend at least 90 minutes per week in simulation labs. The exercises are based on material covered that week, including nursing-focused and general simulations that integrate students from across the university. The School of Nursing features an assessment lab with eight exam rooms, five high-acuity simulation rooms, a simulation apartment, 10-bed skills lab and pod-style learning stations. In the fall of 2016, CUAA launched its first student cohort -- known as the Alpha Class. After completing the 2018 summer semester, they will be the first School of Nursing cohort to graduate in December, in two and a half years. To learn more about CUAA’s School of Nursing, visit www.cuaa.edu/nursing.